I was born in Mexico City and grew up in Houston, Texas. 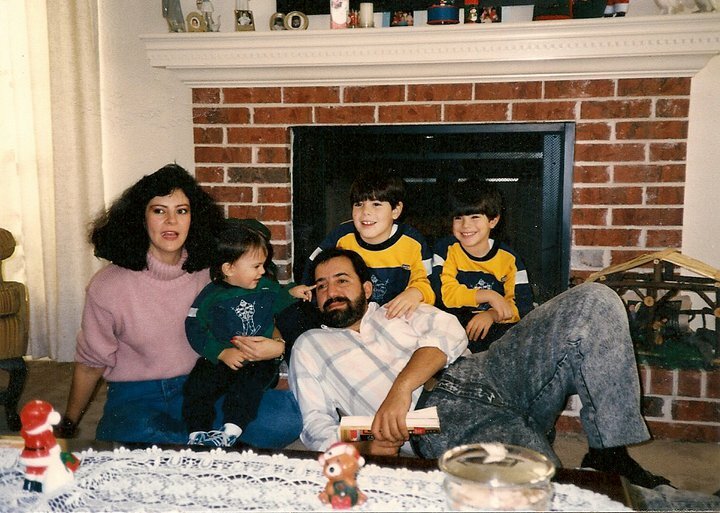 Thankfully, my amazing mother (w/the eighties hairdo left) never allowed us to speak English at home; so I am fully bilingual and bicultural. Lucky to call those two guys brothers and the guy getting poked in the eye, dad. I lived in New York City for 8 years where I got to work at The Public Theater, Rattlestick Playwrights Theatre, INTAR, La MAMA and The Mint. I also appeared on Blue Bloods, The Good Wife and many independent movies. Plus I do commercials in both Ingles and Spanish! As a playwright; my play The Redhead is Coming was a part of F*ckfest at The Brick in New York (2015). My play The Judgment of Fools is enjoying an open ended run currently at INTAR. My short plays have been done all over the country. My Podcast "Off and On: A New York Theatre Podcast" was named the top Theatre Podcast by American Theatre Magazine! Click on all the links to watch my reels, read my plays, listen to my pod, and more!